Puerto Montt to Osorno, Chile [Week 1]: Overall, this was a stunning ride along the lake and in full view of the volcano for the day. 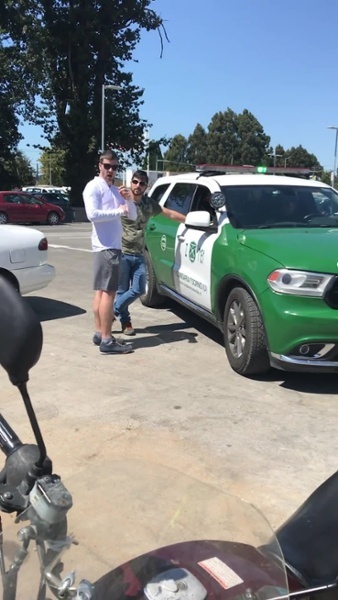 Osorno to Los Angeles, Chile [Week 2]: It was amazing to finally be back on the road after spending three days in Osorno! With new gear on Ski’s bike, we made for highway 5, part of the Pan-American highway. Los Angeles, Chile to Malargue, Argentina [Week 3]: And thus began the week of climbing and the start of our desert journey. This week, we pedaled ourselves up over the Andes Mountains via Paso Pehuenche at 8,395 feet. It was by far the most scenic ride we have ever been on, but also one of the most challenging. 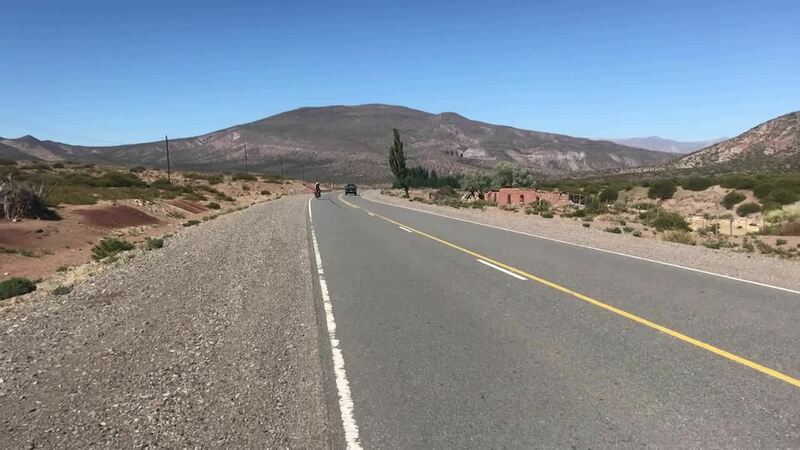 Marlague to Lujan de Cuyo, Argentina [Week 4]: We thought the Andes climb would be the most difficult leg of our South America trip. We thought that after sailing down the mountainside, it would be smooth sailing for the next few days until our break in Mendoza. We thought there’d be Evian girls serving us ice cold water at every turn. We… were fools. 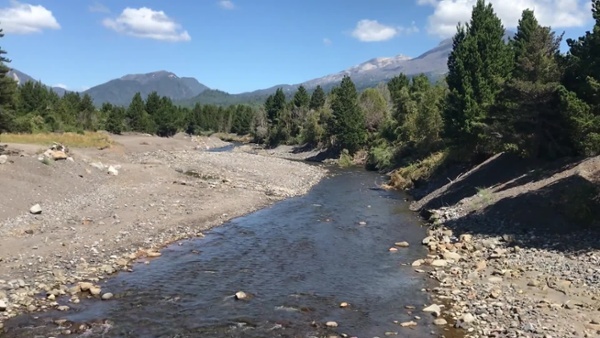 Lujan de Cuyo to Uspallata to Mendoza [Week 5]: Even if you are not a cycle tourist, you should make the time to travel up above Mendoza in the Callingasta valley. It’s truly breathtaking, particularly the lake near Potrerillos. I would go so far as to call this a “must see” in the region. 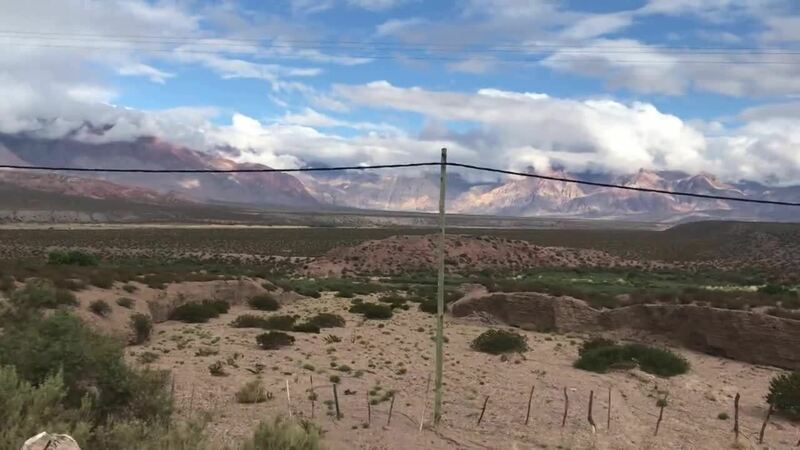 Mendoza to Ita-Ibate [Week 6]: I labeled this week's recap as "traveling" rather than "cycling," since most of the miles were spent on two very long bus rides. It feels a bit like cheating to hop a bus to me, but something I have gotten over relatively fast. The alternative would be to kill ourselves and cycle over 1,000 miles across a barren landscape, only to miss the main reason we chose to cycle Argentina in the first place: Iguazu Falls. Ita-Ibate to Iguazu Falls [Week 7]: Our travels this week were dominated by Paraguay, a country that I will not soon forget. Thus far, this country takes the cake as our favorite, even though we only got to spend four days riding here. The friendly and curious people, variation in food (finally!! ), red clay roads, rolling hills, and dense forests made it perfect for a cycle tour. It was a tough call deciding where to start and which direction to head once we arrived in Chile. I have been enamored with the Straights of Magellan for several years, so passing up on the opportunity to start at the end of the world was not an easy call. We also heard amazing tales about the fabled "Carretera Austral" route through the mountains of Patagonia. While the scenery and solitude were appealing, what made the decision for us was the condition of the roads and the unrelenting wind. 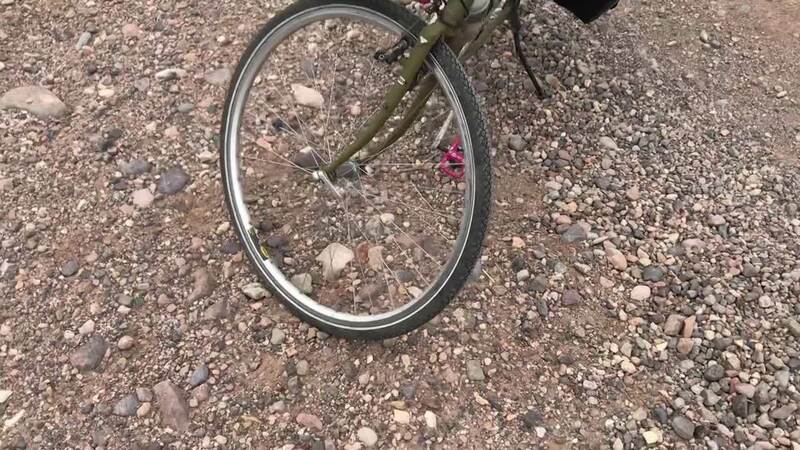 The wind in the region north of Teirra Del Fuego gets so severe (upwards of 90 MPH) that cyclists lamented being unable to move at all at parts of their journey. As we need to be back in the US in April and want to see all we can, we pivoted to start midway through the Patagonia region and make for a wine festival in Mendoza. It's the largest in the entire country, and this will be a welcomed reward after making the long cross over the Andes. There is no doubt this will be the most difficult part of South America. We project 56,347 feet of total elevation gain in these first three weeks, maxing out at 8,365 feet over the pass. You can find the full details for this portion of the ride here: SA Stage 1: Puerto Montt -> Andes Crossing. From the festival in Mendoza, we'll continue our travels North through the desert and into Paraguay. There isn't a ton we found on cycling in this relatively un-touristed country, which makes it all the more interesting to us. From what we did find, it seems like the people are going to be the highlight, so we expect to have fun stories as we make our way across the southern portion of the country. During this portion of the ride, we have one goal in mind: to reach the majestic Iguazu Falls bordering Argentina and Brazil. This 2 mile stretch of waterfalls looks to me like a gigantic crater (larger than Niagra) in the center of a large jungle river. Of all the natural wonders we plan to visit, I have a feeling this one is going to be on top of the list. Departing Igauzu Falls, we'll straddle the border of with Brazil, until we dip into the jungles there for a few days cutting south. We still have more research to do on this section, but so far, it looks to be a relatively safe and fun way to see South America's largest country. The final country we plan to hit is Uruguay. 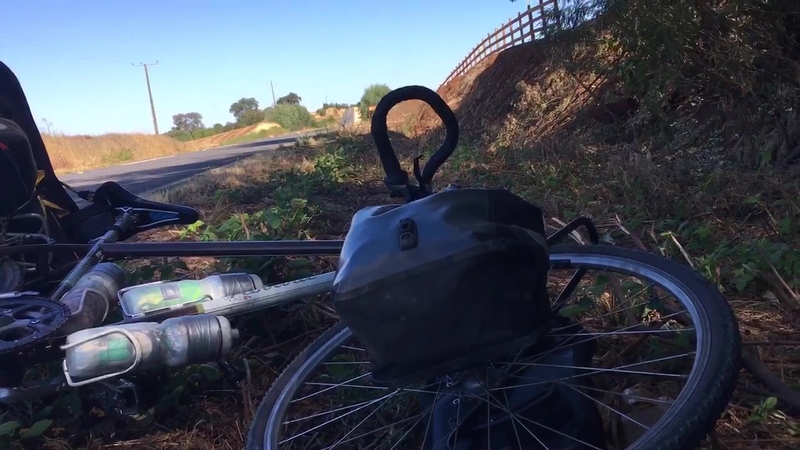 From other cyclists accounts, this part of the trip sounds like it's going to be a blast. The country is relatively flat, the seaside capital of Montevideo looks gorgeous, and the people sound welcoming to outsiders. As of now, we plan to ferry to Buenos Aires before flying back to the US. Total milage for South America for us is projected at 3,383 miles. The total elevation gain we plan is 100,382 feet, equal to over 3 trips up Mt. Everest.